I have really super cool products to introduce to you today! 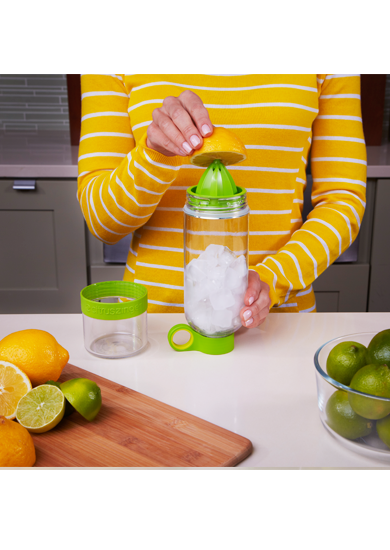 I just love how they will save you money, are great for including frest fruit and veggies into your drinks/foods, and they are SO EASY TO USE! Plus, they offer four different options for every lifestyle, preference, and recipe! So WHO ARE THEY? 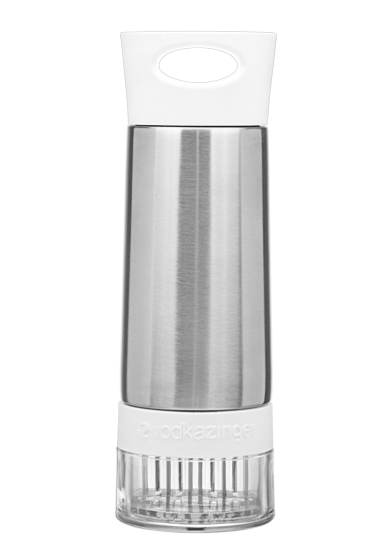 It is Zing Anything and they are a new line of infusion water bottle technology and they have arrived for the population with a love-hate relationship with water. But they do so much more than just infuse water! 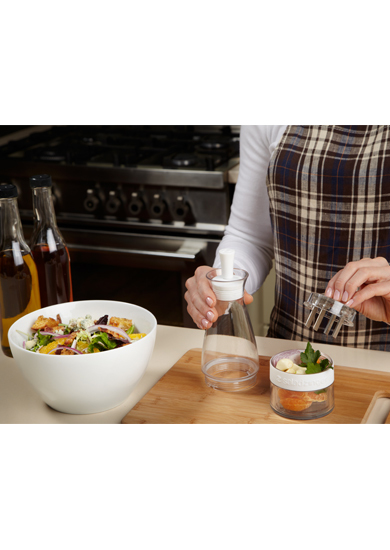 Along with the Aqua Zinger, they also offer the Salad Zinger, Citrus Zinger and Vodka Zinger all as part of the Zing product line of DIY infusing beverages. They are the perfect products to add some flavor to beverages and foods and I am absolutely loving the Salad Zinger, Citrus Zinger and Vodka Zinger that I received for review! Josh Lefkowitz, creator of Zing Anything, was first inspired by personal interest. Tired of sugar-filled drinks and reusable water bottles, Josh took to home experimentation in search for an all-natural alternative. After years of mashing various fruits and herbs, Josh turned his passion into a career with the creation of Zing Anything. Because I frequently eat salads and am always looking for new ways to spice up my salads so they don't get boring, I REALLY LOVE the Salad Zinger! 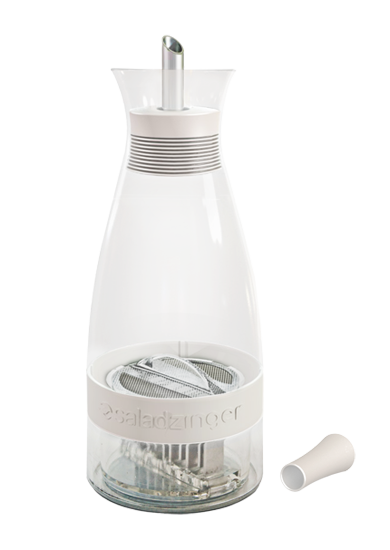 I love that this Salad Zinger is not only the grinder, infuser, and shaker, but it is also dressing bottle! Good BYE all the extra dishes!! And the Salad Zinger is not only for salad dressings! I LOVE how versatile it is! Keep the butter in the fridge. 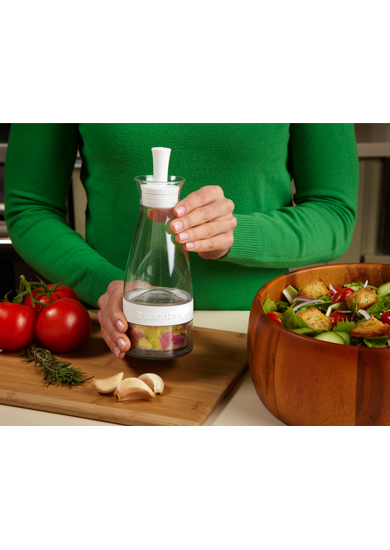 The Salad Zinger can make flavored oils and vinegars for dipping, marinating, sautéing, or to add flavor to dishes such as pastas, rice, or potatoes. The possibilities and healthy recipes are only limited to your creativity. 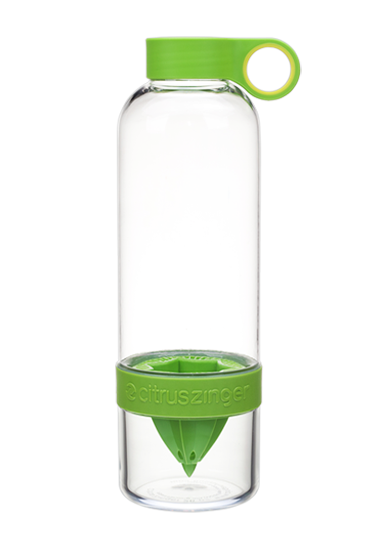 Another great product from the Zing Anything is the Citrus Zinger! I have been on a big lemon water kick lately and I have been buying lemon juice to put in my water every morning. Now with the Citrus Zinger, I never have to buy lemon juice again! I can make my own and save money! Once again, the Citrus Zinger is SO EASY to use and I love how great the water tastes after it is "ZINGED" with fresh organic lemons! 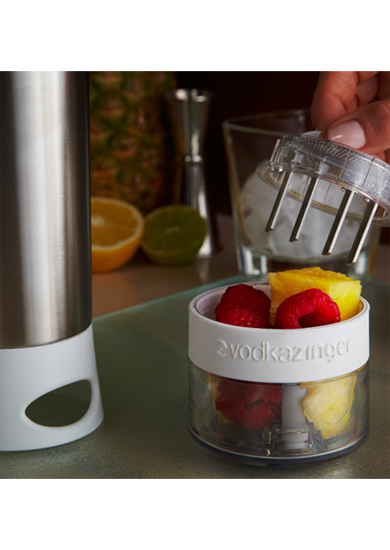 The Zing Anything product my husband loved the most for our future bar is the Vodka Zinger! My husband instantly started imagining all the fun and unique drinks we could make with the Vodka Zinger for our friends and family when we get our new house! It is such a great idea for making fresh and natural drinks for loved ones! So, if you like to be creative and make fun, unique drinks from fresh, organic or natural ingredients, then you will LOVE the Zing Anything line! They will add flavor to everything and anything! These products also make a great wedding gift for a new couple's home this Wedding Season! Buy It: You can purchase Zing Anything’s products online from the Zing Anything online store.